Innovation and entrepreneurship, the drivers of economic prosperity in a community, require freedom and flexibility to try new ideas. In a dynamic economy, some ideas will succeed and many will fail. 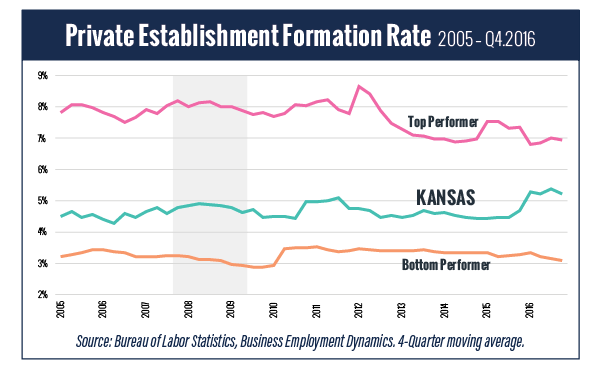 Kansas has seen growth in new businesses in recent years, but not at the same rate of top preforming states. Why is expanding the state’s innovation and entrepreneurship so critical to our future? 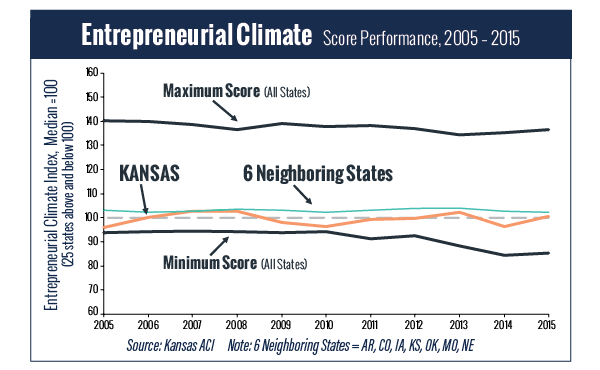 More than 50% of net new jobs are created by Kansas’ “entrepreneurial economy” which includes sole proprietorships as well as small and mid-size business segments of the for-profit sector. The more a business operating environment promotes the dynamics of trial and error, the more likely business entrepreneurs will discover ideas that succeed in a particular community—thereby growing the incomes and quality of life for both the community and the state. Kansas must identify ways, among others, to encourage more patents, grow our R&D sectors and support more venture capital and investment opportunities to start, grow and expand businesses. An Action Plan for Kansas.